One of the numerous issues being carefully avoided by the political establishment in the US midterm elections, now less than one week away, is the constitutional crisis surrounding the plot to cover up torture carried out by the CIA. All of the institutions of government are complicit in the cover-up, which is centered on preventing the publication of a Senate Intelligence Committee summary detailing US torture practices far exceeding in scope and brutality those made public so far. The logic behind the cover-up is simple: the report details crimes so harrowing that its publication would prove politically explosive. While the Senate report was finished in 2012, it has yet to see the light of day. This summer, the Obama administration postponed the release of an executive summary in order to give those CIA officials most culpable for state torture a chance to review the document and redact the most criminal material. White House Chief of Staff Denis McDonough—a close ally of CIA Director John Brennan, who helped implement torture policy while in the Bush administration—is playing the key role in overseeing negotiations between the CIA and the Senate on the scope of the CIA’s redactions. The Intercept reported on October 24 that the CIA has insisted on redacting, among other things, the pseudonyms used by the agency to mask the identities of those responsible for carrying out torture. The redactions it is demanding have reportedly made the document as a whole unintelligible. The dispute between the Senate Intelligence Committee and the CIA is aimed at ensuring that any release will be delayed until at least after the midterm elections, after which it is hoped that the document can be buried altogether. The Senate itself is functioning as a willful accomplice in this process—since key Senators of both political parties have the document and could leak it at any time. At the same time, in response to an ACLU lawsuit petitioning for the release of the Senate report summary under the Freedom of Information Act, the Obama administration filed a motion Tuesday requesting that a federal court once again delay the release. The filing marks the fourth time the Department of Justice has attempted to prevent publication. The timing of the most recent delay underscores the damning character of the contents of the report summary. As The Hill noted, a release “could have caused distractions for Democratic candidates just a week ahead of high-stakes midterm elections.” By “distractions” is meant an element of social and political reality—the crimes of the CIA are something that no one in the political establishment wants to talk about. Let us recall that the crimes at issue include not only torture—which one person with knowledge of the Senate report called “medieval,” including holding detainees under water to the point of death—but also further crimes that flowed from these crimes. It was revealed earlier this year that the CIA hacked the computers of Senate staff members tasked with researching the torture programs and threatened the staffers with criminal prosecution. Although these brazenly unconstitutional acts are proof that the CIA acts as a law unto itself, these revelations too have been dropped. 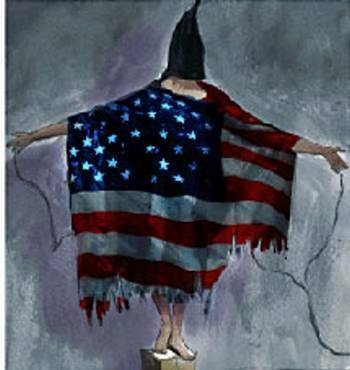 Nor is CIA torture the only crime for which the intelligence apparatus is guilty. Nearly one and a half years have passed since Edward Snowden provided proof of massive government surveillance. Yet each week brings new details of an immense spying apparatus that pries into the lives of hundreds of millions throughout the world with the help of a network of government agencies and private corporations. The Obama administration’s fig-leaf pretense of “reform” in response to these revelations has been entirely dropped. In these actions, one gets a glimpse of an intelligence agency that operates outside of all legal constraints. The chief spymasters, and the military generals with whom they are closely associated, act as the real kingmakers, and the individuals who populate the official branches of government combine cowardice and complicity in varying proportions. The situation today goes far beyond what Eisenhower could have imagined. The size of the intelligence apparatus in the United States is enormous, sucking up tens of billions of dollars every year in official spending and “black budgets” hidden from the American people. As for the military, its official budget stands at over half a trillion dollars. The launching of the “war on terror” in 2001 marked a new stage in the growth of the military-intelligence agencies, as the government’s drive to war abroad became ever more closely tied to the establishment of the framework for a police state domestically. The growing power of the “military-intelligence-industrial complex” corresponds to two related processes: the explosion of imperialist violence abroad and the growth of social antagonisms at home. Lenin, citing Engels, referred to the state as consisting fundamentally of “bodies of armed men.” The essential purpose of this instrument of violence and repression is to uphold class rule—in the United States, the defense of the interests of an increasingly parasitic financial aristocracy. The more naked the class relations and the more severe the class antagonisms, the more openly does this essential purpose of the state express itself.